Bringing your home design dreams to reality. 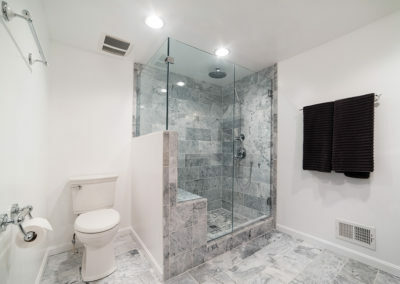 At Renovation and Leisure Concepts, we are committed to providing you with a smooth remodeling experience free from as much disruption as possible. From the initial consultation through the final walk-through, we work hard to communicate effectively and to complete your project on time and on budget. 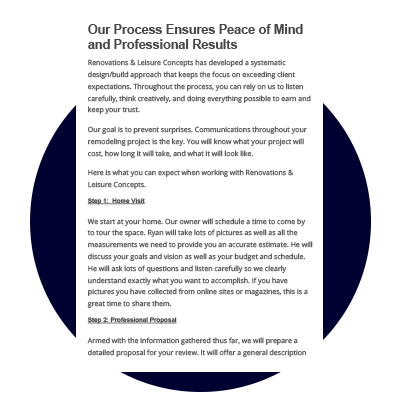 We follow a proven process [link to the process page] to ensure you have peace of mind by choosing Renovation and Leisure Concepts. Click here to download your free project plan. 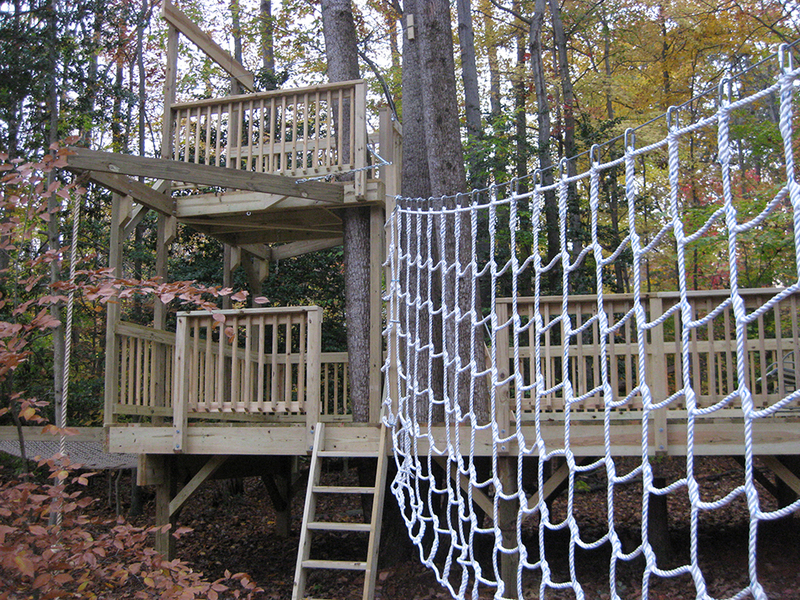 Renovation and Leisure Concepts is dedicated to bringing your home design inspirations to life. 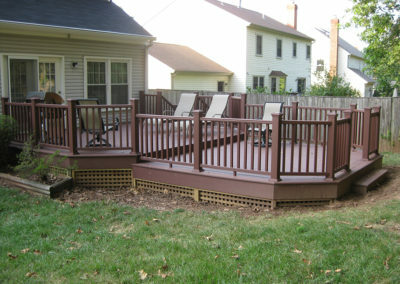 Locally owned and operated in Northern Virginia, RLC believes high-quality work does not have to come at a high price. We specialize in affordable leisure room projects ranging from wet bars to home theaters to anything in between. 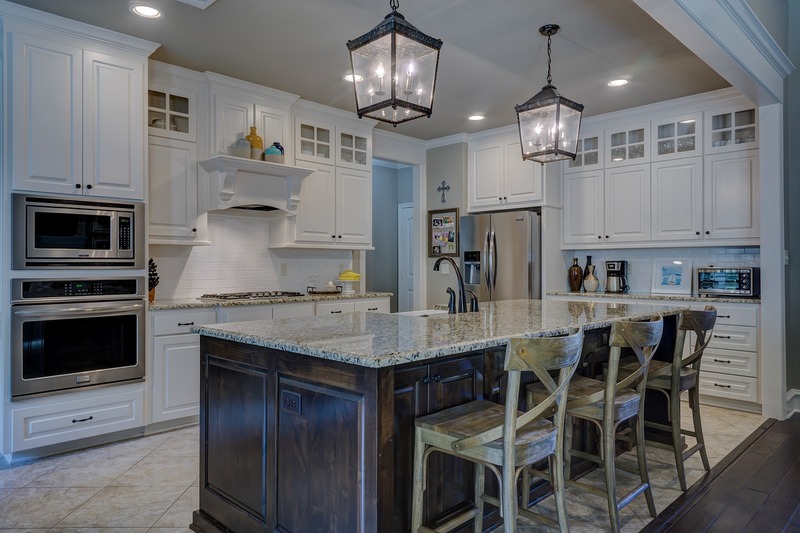 So whether it’s a home theater, wet bar, or man cave, Renovation and Leisure Concepts is here to turn your home renovation idea into the room of your dreams. 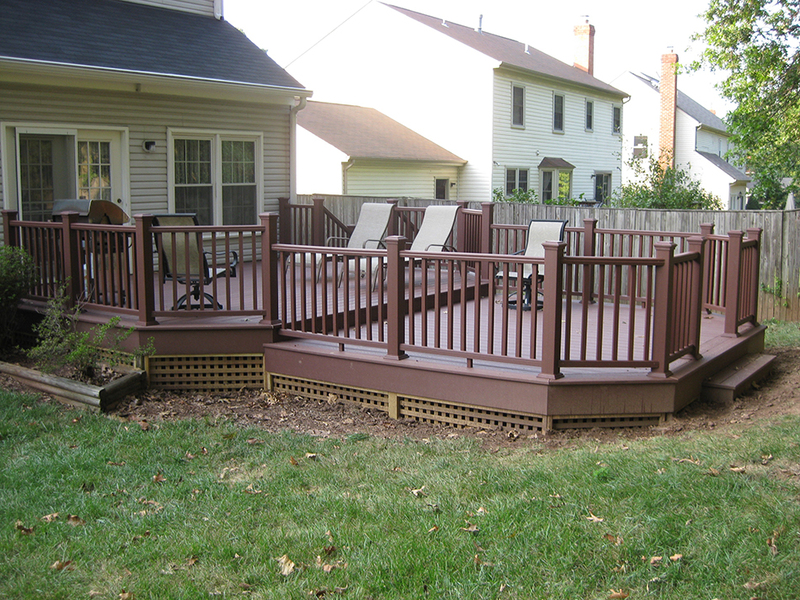 RLC is licensed and insured by the State of Virginia as well as certified by the EPA. We start at your home. Our owner will schedule a time to come by to tour the space and discuss your goals and vision as well as your budget and schedule. We know that the remodeling process can be disruptive to your normal routines. Our goal is to minimize that disruption as much as possible through clear communication and attention to detail and cleanliness. Armed with the information gathered thus far, we will prepare a detailed proposal for your review. It will offer a general description of the work scope and the expected budget. Our knowledgeable construction team is responsible for meeting the schedule, ensuring quality and cost control, coordinating all site work, cleaning up the worksite, answering your questions, and addressing any new ideas you may have. Our design team will create one or two design concepts for your consideration. We’ll set up a review meeting to look over the designs in detail and get your feedback. Once we have completed all of the work, we will conduct a final walkthrough. We will create a punch list of any issues that need to be addressed. We will work to complete any of these items as quickly as possible. Your designer will assist you in selecting materials that meet your aesthetic needs and that fit within your budget. This is when you will choose flooring, fixtures, etc. 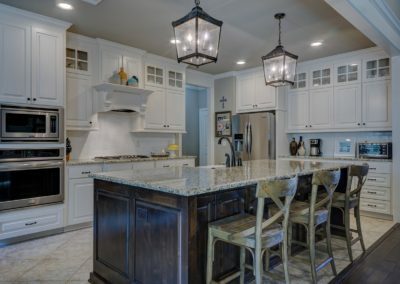 You can feel secure in knowing that we have used quality materials, outstanding craftsmanship, and worked hard to make your new space a reality. We back our work 100 percent with a two-year warranty.